Victaulic is the originator and world’s leading producer of mechanical pipe joining solutions and grooved pipe joining systems. Used in the most demanding markets, Victaulic innovative pipe fitting technologies and services put people to work faster while increasing safety, ensuring reliability and maximizing efficiency. Victaulic grooved couplings, grooved fittings and pipe connectors are at work in more than 140 countries across diverse business lines. Our pipe fitting solutions meet specific business needs such as accommodating thermal movement, providing seismic solutions, safer system installations, pipeline maintenance and installation, fire protection piping and noise and vibration attenuation. 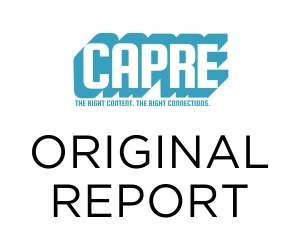 In anticipation of CapRE’s 2019 Data Center & Cloud Infrastructure Forecast East, CapRE connected with the firm to learn about the view from Victaulic. Victaulic: 2018 was a record year for Victaulic in the data center industry. A growing segment is recognizing the value of Victaulic in controlling costs and improving reliability, adaptability and speed in data center construction. Victaulic is becoming a standard technology for a number of global data center accounts. We see a global uptake of data centers coming to rely on our solutions instead of traditional pipe joining methods. Cyrus One, for example, publicly recognized one of their employees with an award for his collaboration with our company over welded pipe. We continued developing new solutions and product enhancements to align with data center trends, including liquid to the row/rack solution advancement by simplifying the challenge of adding liquid cooling solutions in new and operating data centers. We also continued our growth in resources supporting prefab modules, assemblies and kits. CapRE: How will Victaulic make the most of 2019? Victaulic: We’ll keep our finger on the pulse of the market in 2019 and continue developing innovative solutions that provide increased efficiency and reliability to our customers. Collecting insights from the global industry is a key source of insight for us, as is participation in industry events like CAPRE. One of the trends we are already picking up is “2020 Vision”. For us this has a double meaning, not only building data centers for the future with the latest technology, but also building data centers that are easily adaptable to future industry trends. This is the strength of our solutions. We help reduce costs and improve reliability, adaptability and speed, all while allowing for easy system expansion. Gaining insights from the global data center industry, developing solutions, and communicating a 2020 Vision with the industry will be key for us in 2019. CapRE: What market opportunities are Victaulic most excited about? What technological or economic forces in the industry are driving demand? Victaulic: Prefab solutions and Building Information Modeling (BIM) technologies are growing rapidly as the foundations of success in data center construction. Prefab has been around for years in a variety of forms – prefab modules (PFM), assemblies, and “kits” (think of pipe systems as LegoTM kits) and take away a lot of uncertainties in the construction industry. It helps to minimize construction time, jobsite waste, and onsite risks. But fabrication with traditional methods, like flanging, also faces challenges. Flanges and flexible connectors add excessive costs, alignment challenges and maintenance issues. Victaulic technologies enable contractors to reap the benefits of prefabrication. Eliminating flanges and flexible connectors alone offers significant improvement in construction and maintenance costs, and alignment/adaptability. Victaulic technologies integrate exceptionally well with BIM/Virtual design technologies to enhance delivery and construction of complex data center projects with minimal cost and schedule risk. CapRE: What are clients coming to Victaulic about? What are you hearing “on the ground”? Victaulic: Density diversity is a real and growing concern for the industry because efficient cooling of high density in a low density data center typically requires a greater use of liquids. Most IT applications prosper in rack densities of under 10 KW/rack, but AI applications that require +40KW per rack are surfacing with increased frequency and unpredictability. To address this concern and enable successful deployment of high density liquid cooling solutions in new or operating data centers, we are with a broad spectrum of liquid solution vendors to bring the optimal solution to market. CapRE: What is the biggest challenge for Victaulic on the horizon? Victaulic: Our biggest challenge has always been converting the market from traditional pipe joining methods, like welding and flanging, to a grooved solution. But that’s also where our opportunity is. Converting the market is more than a business objective for us, it is an ideology. Coordination with commissioning teams of data centers is a key goal for 2019. When properly installed and commissioned, Victaulic solutions help systems operate uninterrupted for the life of the data center. CapRE: What storm clouds are out on the horizon in a broader perspective — either demographically, economically, technologically, or anything else. Victaulic: Global economy trends are always a potential concern, but the demand for data centers has demonstrated great resilience. Most “storm-clouds” are favorable to Victaulic technologies, as they highlight needs for adaptability, modularity, speed of construction, simplicity of installation – key strengths for Victaulic technologies. Density-diversity is a great example. The need for high density is difficult to predict: how much liquid and what type of cooling will be needed in data centers? Skilled labor shortages are also often cited as challenging for the construction industry. The American Welding Society cites the average age of welders is 57. Proper, reliable installation of Victaulic products can be trained in a couple days, while mission critical welding takes months or years to learn. Energy and water usage are two other industry challenges we’re helping our clients address. We are working globally with leaders in energy reuse and low water usage in data center cooling to try to optimize these. 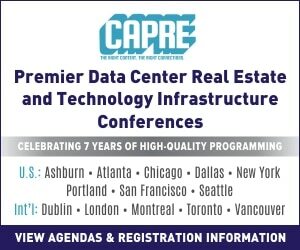 CapRE: What is Victaulic looking forward to about CAPRE’s 2019 data center summit series? Victaulic: Vision and perspective from the leaders in the industry. Hearing regional updates of data center trends and forecasts for us is invaluable as we continue to innovate and help our clients effectively address challenges. The value of current information on business trends and issues is critical to our ability to align and address the data center industry needs. The interrelationships of technologies – such as AI, IoT, 5G – and physical footprint – Edge, Cloud, Colo is a complex evolving dance. CapRE provides a forum of discussion for how these technologies and physical footprints are impacting major regions. CapRE: What’s the bottom line for making the most of the data center play right now? Victaulic: Key goals of data centers continue to be cost, speed, efficiency and reliability. IT requirements, and their physical design requirements, are in constant change. Technologies that are exceptionally adaptable, fast, reliable and cost-effective are the foundation of “2020 vision” for data centers.